We pride ourselves on the very high standards of accommodation and all of our accommodation is chosen by our local Operator IN Livigno to ensure comfort and is centrally located in and around the heart of the village amongst all the amenities Livigno has to offer. We have accommodation to suit all budgets from self-catering apartments and chalets to hotels offering breakfast only or breakfast with evening meal. We are happy to offer recommendations based on your sleeping arrangements and requirements. Below is a small example of the accommodation we work with. All our self-catering chalets are extremely comfortable 3 star plus accommodation located in the centre of town or within 500 metres of the centre of town which is very important as Livigno stretches over 13km. All equipment hire is stored in heated lockers on the slopes so you do not have to carry skis and boots etc to and from your accommodation each day. We have chalets for 2 people upwards and can accommodate any group size. All our B&B's are comfortable accommodation which are usually more suited to couples and those that do not want to cater themselves but would ratrher eat out for all dinners. Located close to the centre of town and often on the slopes. 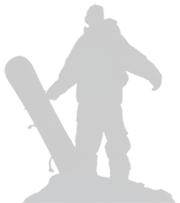 All equipment hire is stored in heated lockers on the slopes so you do not have to carry skis and boots etc to and from your accommodation each day. We have apartments for 2 people upwards and can accommodate any group size. 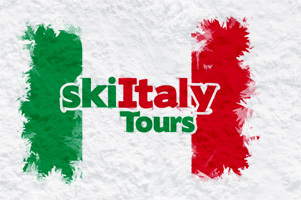 All of the selected 3 star, 3 star plus and 4 star hotel accommodation is based in the town centre of Livigno to ensure easy access to the slopes and amenities. Each hotel room has private en-suite facilities and the facilities vary from hotel to hotel - the common thread though is that we have been to each of them and 'check out' them all out to make sure that you have a wonderful stay in Livigno. All our more luxurious hotels are 3 star plus or 4 star hotels offering either breakfast only or breakfast and dinner and are located close to the slopes and within or close to the town centre. Each hotel has en-suite facilities and an extensive buffet breakfast and/or 4 course evening meal provided. Each higher grade hotel also has wellness-facilities available to their guests.